Michael van der Mark set himself up perfectly in today’s Superpole race at the Chang International Circuit in Thailand, with a fourth place finish from tenth on the grid securing him a second row start for Race 2, in which he also went on to finish fourth. Van der Mark was made to work hard for his second fourth place finish of the day, after a slight mistake dropped him back behind Marco Melandri, Sandro Cortese and Leon Haslam early in the race. 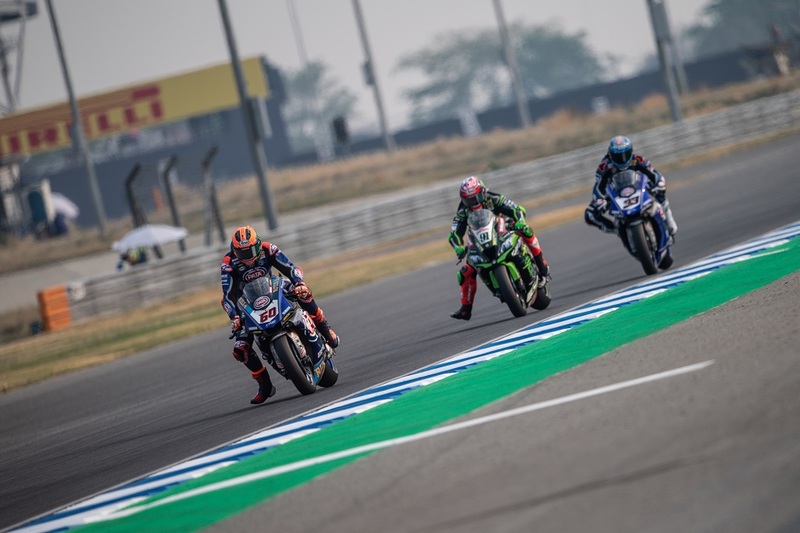 The Pata Yamaha rider managed to fight his way back through to again claim fourth place, which he held to the line with a slight advantage over his pursuers. Van der Mark remains fourth in the championship standings with 61 points, but with an increased margin over Melandri in fifth.